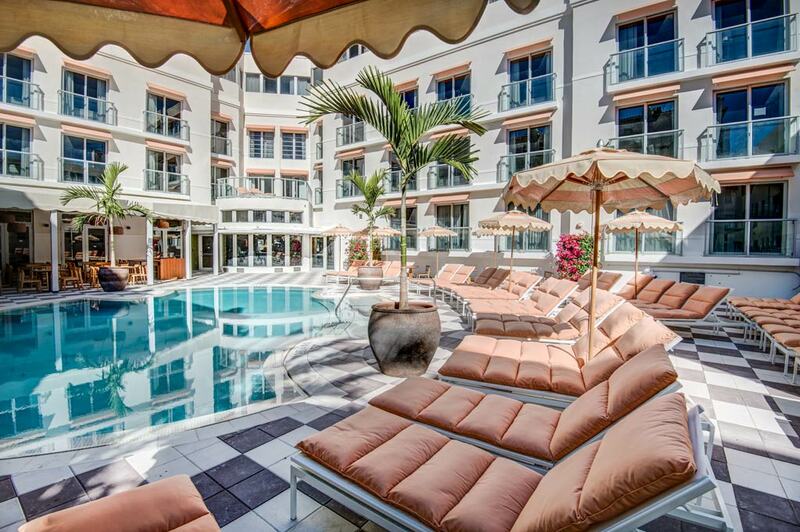 Set within South Beach's Collins Park, The Plymouth Hotel Miami is a boutique hotel with Art Deco pool, Art Moderne styling, and a private beach two blocks from the hotel. Guest rooms and suites are designed by Fernando Santangelo, and feature furniture by Restoration Hardware. For dining, the recently opened Blue Ribbon Sushi Bar & Grill serves sushi and Japanese cuisine in an exclusive setting. Continue reading below the photo. Five Star Alliance Perk: all guests booking through Five Star Alliance receive a bottle of wine, $50 resort credit ($100 for suites), and complimentary room upgrade based on availability at check-in.